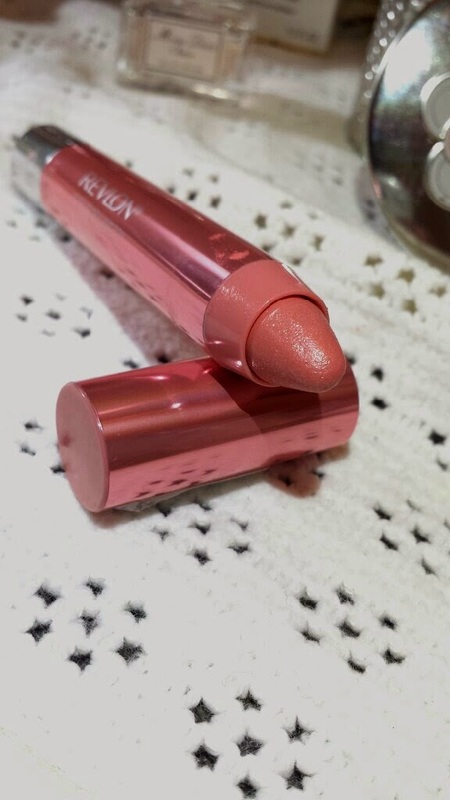 The ColorBurst Lacquer Balm from Revlon is advertised as a high-shine, moisturising lip balm that comes in a range of ten colours. It contains shea, mango and coconut butters to keep lips soft whilst providing a lacquer finish. The lip balm comes packaged in a twist bottom pen that is reminiscent of other lip crayons such as Clinique’s Chubby Stick. To get more of the balm, you need to twist the bottom of the pen rather than sharpen it. I chose to purchase the shade ‘Demure’ which is pale pink with a hint of glitter and is probably the tamest of the bunch. 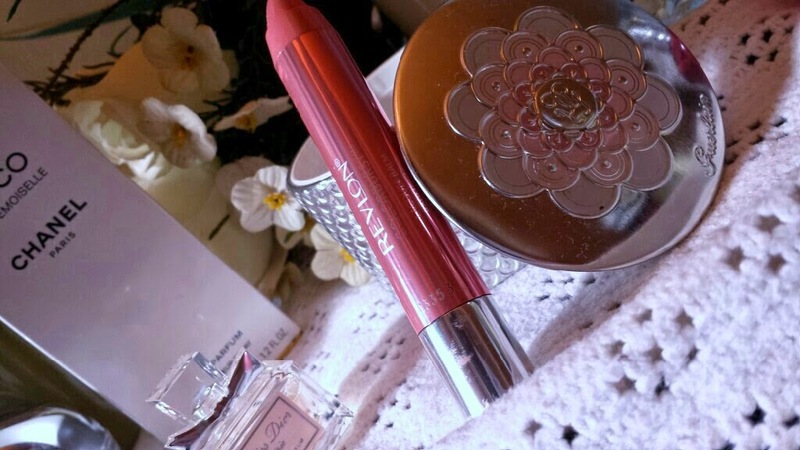 It applies smoothly and is non-sticky, a perfect blend between a balm and a gloss. This is a brilliant product for somebody who is on the go but likes a little bit of something on their lips to brighten up their look. You can easily fit in a quick application whilst the kids are playing or whilst on your work break as well as on the bus or the train. Just pop off the lid and smooth over lips. Fast and simple. For the price of this I think it is a fairly impressive balm! My favourite thing about it is the inclusion of peppermint oil which makes your lips feel cool whilst giving off a tingly feeling. It makes your lips feel rejuvenated! Demure is also a beautiful shade for day to day business. It isn’t an in your face colour but instead it is more subtle and easy to wear. It can also be built up for a more intense colour. The full range does include some much brighter shades though which are suited to different occasions! When on your lips, it does feel more like a balm. However, it looks more like a shiny lipstick when I look in the mirror. The wear time is only around 2-3 hours on me which isn’t the best, but the re-application is quick and easy so it’s not that big of an issue. Also, it means that you get to experience the lovely peppermint kick again and again throughout the day! In regards to the high-shine claim, I would agree with that. I don’t strongly agree, but I do agree. 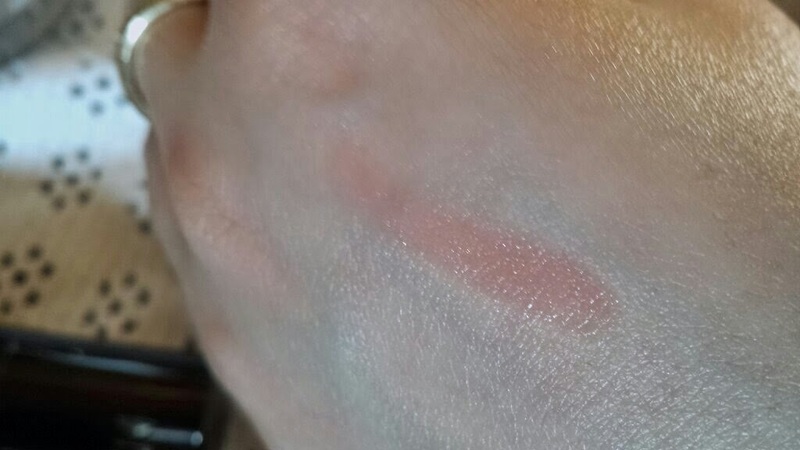 I own products which provide a much shinier finish but this does result in a nice frosted colour. Other shades in the range may have a different result to this though. When the balm has worn off, your lips are left a little softer. To me, this isn’t the most intensely moisturising product that I have used, instead providing a soft finish during wear but afterwards my lips only feel slightly moisturised. Whether that is going to bother you is down to what you want to use it for and how dry your lips are to begin with. Mine can get rather dry from time to time so this could be why I get this result. If you are after an inexpensive, easy to apply lipstick looking product with a creamy, balm like finish then this could be for you. If you want a long lasting lip colour that stays with you throughout your day then you may want to pass on this. You may also want to pass on this if you are looking for a product that provides you with intense moisture. I picked mine up from Boots for £7.99 (technically free as it was part of a 3 for 2), but at the time of writing this it is available at Superdrug for £5.99. 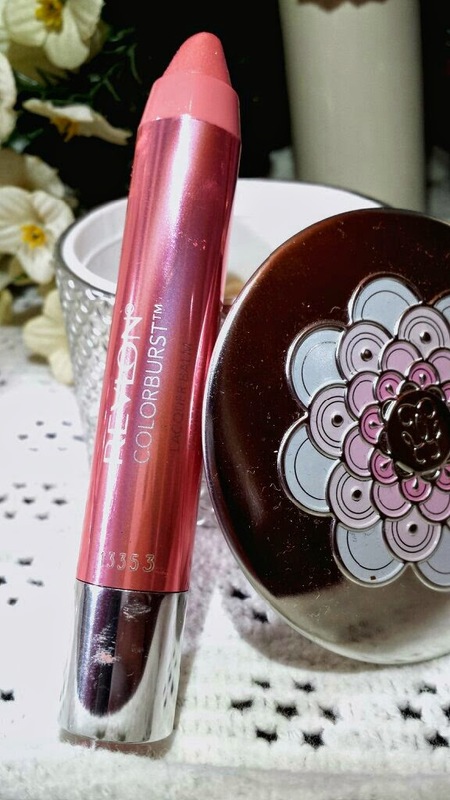 Have you tried any of the Revlon ColorBurst Lacquer Balms? What do you think of them?